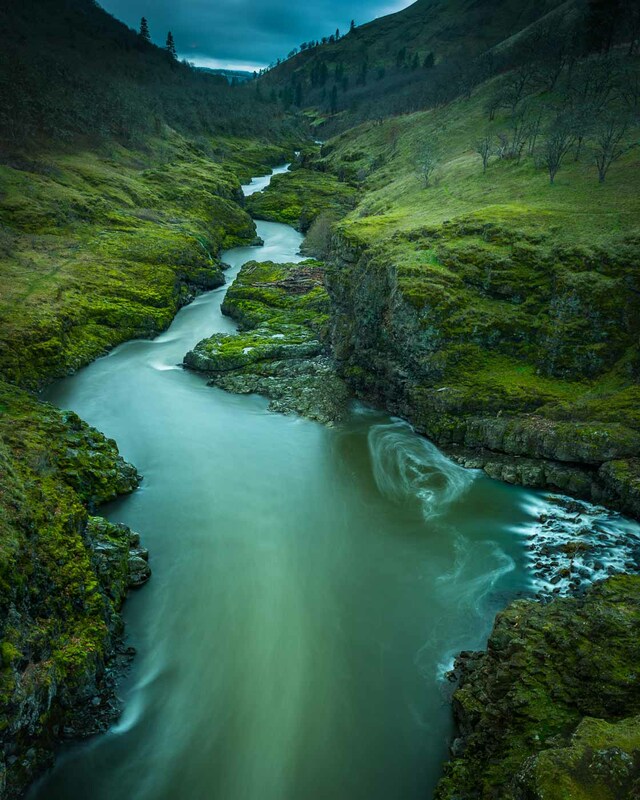 The Klickitat River flows through a section of narrows before empying into the Columbia River. I took the same picture the following winter during a rare weather event when everything was covered in freshly fallen snow. The scene was wonderful and really popped. However, when I downloaded the images I discovered the camera had failed and all the images were lost. Needless to say I was dissapointed. No worries though, I really like this image and I'm looking forward to next winter! Nikon D800, 14-24mm, F8, 30 sec, ISO 100.